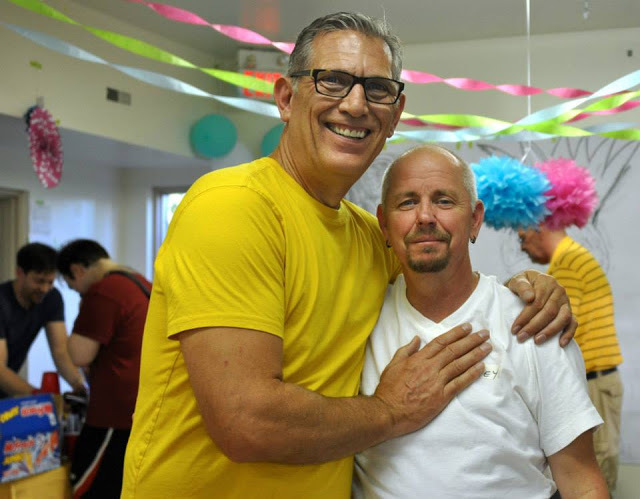 THERE are few others in Edmonton who are as essential to the advancement of the local LGBTQ community as Murray Billett. Some might even go further and assess Billett’s work for LGBTQ equality and acceptance as amongst the most important in the whole province. Billett, on the other hand, would probably beg to differ. The man himself, Murray Billett! Born in Moose Jaw, Saskatchewan, Billett eventually made his way to Alberta. He married, had two sons, and worked in labour relations and conflict resolution, all while living with a secret that – if revealed – he knew would change everything in his life. “I was so very afraid to come out, the consequences I felt were insurmountable,” Billett admitted. 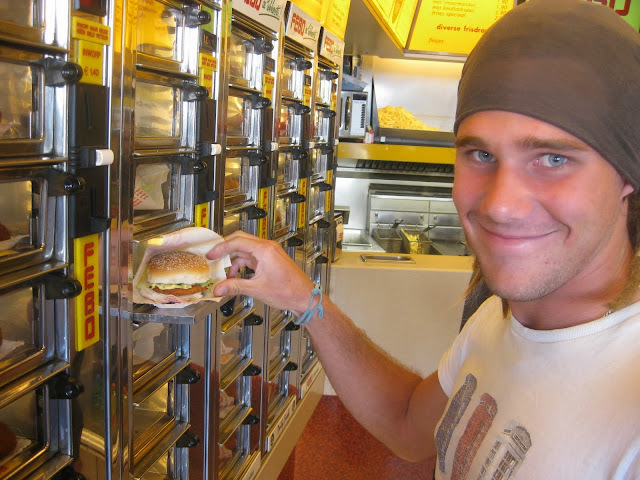 After five years of marriage, Billett knew that he had to be honest with not just his family and friends, but more importantly himself. 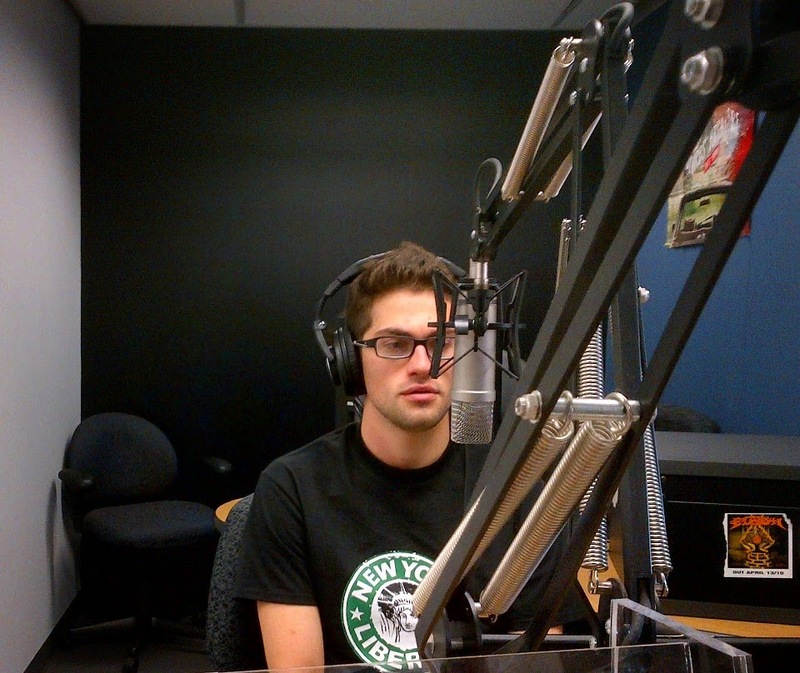 Since then, Billett has embraced his true self and has become an equality rights advocate for focusing on the LGBTQ community. 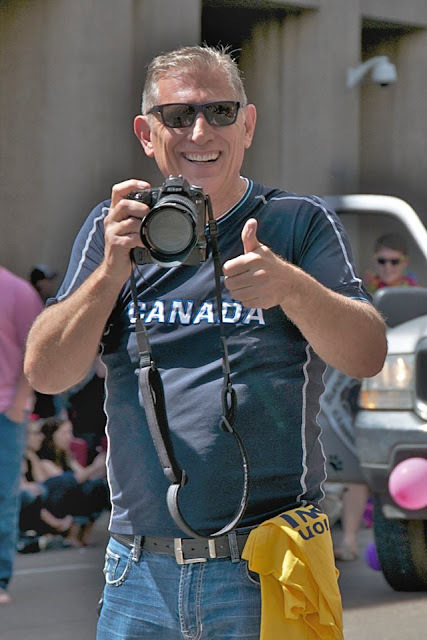 He served on the Board of EGALE (Equality for Gays and Lesbians Everywhere), GALA (Gay and Lesbian Awareness), HIV Edmonton and represented Alberta on the national board of Canadians for Equal Marriage. 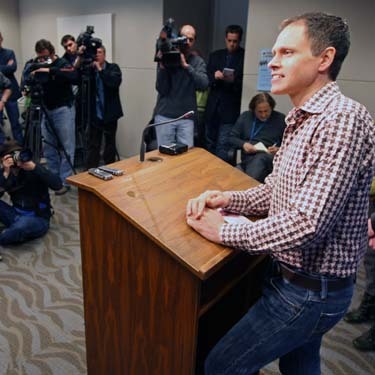 Billett was also an Advisor and Media Contact for the Delwin Vriend Supreme Court case that forced Alberta to include sexual orientation in provincial legislation. Delwin Vriend was an Edmonton school teacher who was fired from his position because of his sexual orientation, which at the time was perfectly legal. Former King's University teacher Delwin Vriend. That case was vital in shifting Canadians’ attitudes towards LGBTQ people not just in the workplace, but in general. It forced the government to amend legislation to include sexual orientation, and as a result has drastically improved equality rights for LGBTQ people in Alberta. The case is now studied in law schools around the world as a model for the struggle for equality rights. 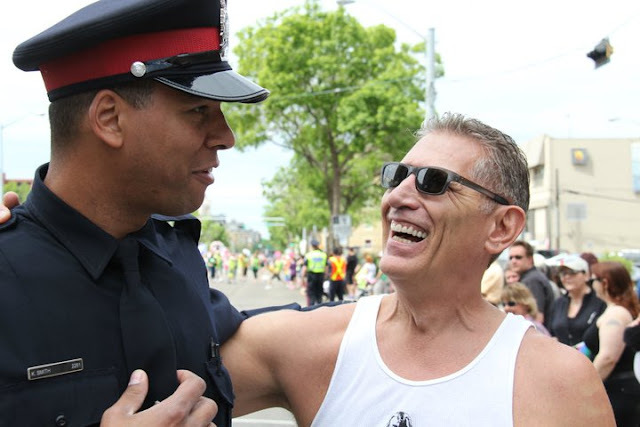 Murray was also a member of the Edmonton Police Commission and Chair of AAPG (Alberta Association of Police Governance), which represents Alberta’s Police Commissions. 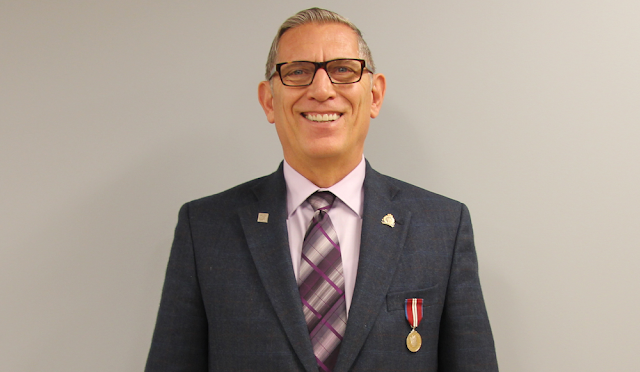 He is also the recipient of the Queen’s Diamond Jubilee Medal and the Alberta Centennial Gold Medal for his service to community. Let's get to know Murray on a more personal level, shall we! The always smiling Billett is a regular at every Edmonton Pride Festival! 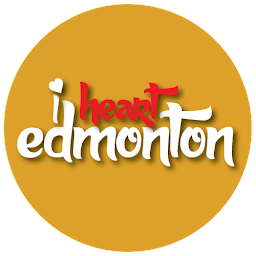 iheartedmonton/ Do you remember your first Edmonton Pride Festival? Murray Billett/ 1991 was a small gathering at Gazebo Park off Whyte Avenue. There were perhaps 20 or 30 of us. The skies were dark and opened up with an enormous rain. We were determined to march with our signs around one city block to let our city know that there is a gay community in Edmonton. A few people were so afraid they wore paper bags over their head! We made our statement, despite the rain; we were soaked through and through yet proud we stood up. i♥e/ Why do you think Pride is important to celebrate every year? MB/ Any thriving city in Canada flourishes when diversity is acknowledged and celebrated. The LGBTQ community is an integral part of our city. Edmonton offers one of the most diverse populations in Canada. There is a reason we are known as ‘Festival City.’ Be it the Cari-West Festival, K-Days or our silly summer Parade. We are a city that has grown into itself from our early days of Pride. Celebrating Pride is a critical component of full participation, inclusion and validation of the contribution our diverse community brings to our city. In reality our diverse community is a reflection of our city’s diverse population. LGBTQ people exist in each and every demographic. Living a life of deceit, denial, risk, regret and obligation is quite simply wrong; it’s not living a full authentic life. As a young man I lived that way, choosing to compromise my own integrity, failing to be honest to myself and my family. I have since learned that discrimination hinders coming out, and coming out hinders discrimination. Pride does just that for our city and our families. In the famous Delwin Vriend case, our community and our allies took the province of Alberta to the Supreme Court of Canada to include sexual orientation in Alberta’ s legisilation. For too long LGBTQ people were treated as if being less than equal to others. Most recently, our Alberta government showed their homophobia by trying to deny Gay Straight Alliances for schools. Collectively, with our allies we forced them to change direction. We must never let up, we must stand UP and OUT on all matters of discrimination! We must continue to lead by example, as people find their way out of the closet and learn to truly enjoy a life of equality and respect. Billett is also an avid photographer in his spare time. i♥e/ What was your experience of coming out for the first time like? MB/ I was married as a young man to wonderful women and had two handsome sons. I was so very afraid to come out, the consequences I felt were insurmountable. Yet after five years, I knew it was necessary to be honest with myself, my family and friends. I am so very fortunate to have an incredible family who have been supportive for a very long time. It was not always easy for them. Our LGBTQ group Gay & Lesbian Awareness (GALA) only had a few people that would speak publicly. I ended up taking on that role back in the early 90's, after that, I was out to everyone. 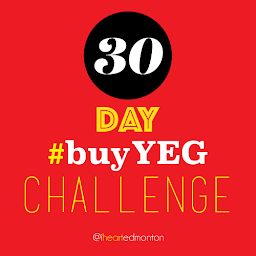 i♥e/ Do you think Edmonton and Alberta are more forward-thinking and understanding in terms of LGBTQ equality than other Canadian cities & provinces? MB/ There are more progressive allies in our province than most people realize. Historically speaking, we have had to fight our government every step of the way. Any of the rights we have won was with perseverance, fund raising and determination of our community. A great deal of our success is due to a significant group of people and allies that stood with us. In 2015, the fact that the provincial government continues to push back and [initially prevented] Gay Straight Alliances [from Alberta schools] sadly proves their lack of understanding. Yet they have learned their lesson and changed their minds to include GSAs in our schools. Billett is one of the province's most well-known and well-respected advocates of the LGBTQ community. Here he is with local transgender advocate Mickey Wilson. i♥e/ Have your responses to personal insults directed at your sexuality changed over the years? Have they become less frequent? MB/ I was called a "fag" walking down Jasper Avenue with friends a few years ago. However, because I am 6'4” and 220lbs. people have not insulted me to my face. While I was involved in the Vriend case I got hate mail, hate phone calls and threats. Being very out back then made me a target. It is interesting to me how people make assumptions. Some people assume all too quickly. For me, being a big guy, I don't fit the stereotype of what society considers gay. Insults to my face were few over the years. Today, I have actually learned to enjoy coming out. It is now the other person's problem, not mine. I have a button that says "You assume I am heterosexual?" There will always be narrow minded people that forget and do not want to realize that the mind, like a parachute, functions best when open! i♥e/ Do you believe that religion in general is the biggest hurdle in worldwide equality for LGBTQ folks? MB/ Some religions have created barriers to equality; it is indeed one of the biggest barriers. The guilt, shame and ridicule bestowed upon their believers and their families is wrong. The complexities of religious intolerance will continue to complicate and deny gay people to live full and complete lives. Sadly, the very religion that is supposed to lead to their salvation also leads to many young men, women and transgender people to commit suicide. A sad reality which we all have the right, responsibility and obligation to speak up for. We must always do our best to prevent discrimination of any kind. It starts with remembering that discrimination hinders coming out, and coming out hinders discrimination. Church leaders come from the people, so get involved in your church; you too can help change the world one decision at a time. 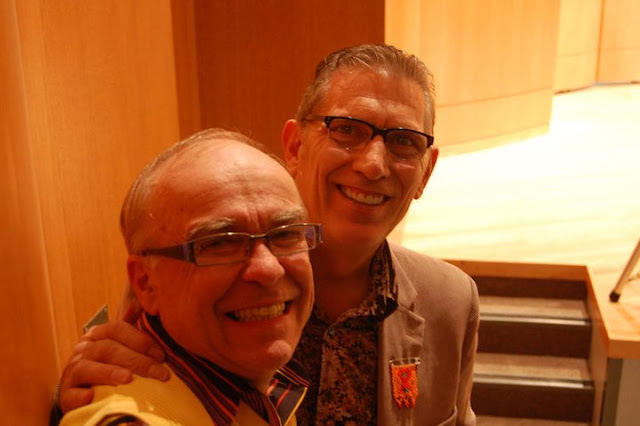 Billett with longtime friend & fellow LGBTQ advocate Michael Phair. i♥e/ What are your thoughts on the banning of blood donations by gay men from the Canadian Blood Services? MB/ In this day and age, with the technology and the profound understanding of HIV/AIDS, there is no reason whatsoever for this ban to continue. There is no scientific reason for this decades-old practice to continue. i♥e/ What does 'pride' mean to you? MB/ Pride lines up closely with integrity; being able to be out confident and clear with who you are in your family, your job and in your community. Pride validates us individually and collectively, while it also defines a city and a province. Our cities must continue to honour and celebrate Pride. There will always be someone joining the celebration for the first time. We all remember the first Pride we attended, and that speaks volumes on the critical importance of pride. Knowing you are not alone is compelling and an incredible feeling of belonging. Our community and each one of us has the responsibility to help each other in our journey of being OUT. Pride does that for so many. The joy of Pride is a power instrument of respect and equality. Belonging is something everyone needs. Showing our Pride, celebrating Pride is and always must be important. Billett & Michael Phair talking to 'Breakfast Television's' Michele McDougall about the 2015 Edmonton Queer History Project at the AGA.